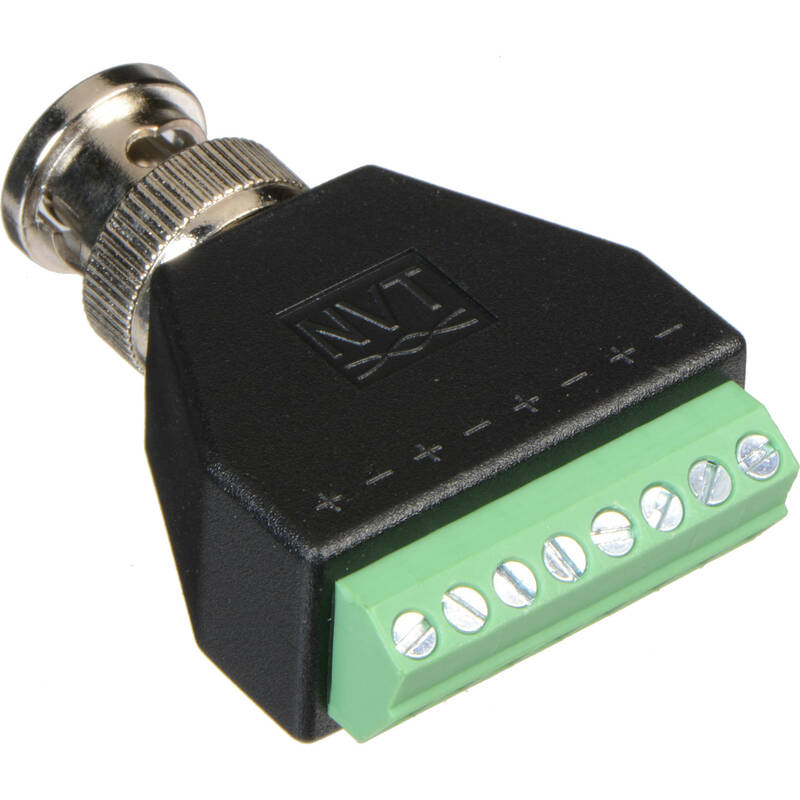 The BNC to Screw Terminal Adapter from NVT converts BNC for 2-wire terminals in IP transceivers. This adapter can be used mid-span along a wire run and has eight screw-terminal connections that support wires up to 16 AWG. It can be used in 4:1 fan-out applications, as well as for daisy-chaining and four-pair wire connections. Note: This adapter is not intended for use with analog video transmission. Box Dimensions (LxWxH) 3.15 x 1.55 x 0.75"